Seven years ago I decided I wanted to move from Florida to Colorado. I had gone on a ski trip with my family when I was 14 years old and fell in love with the snow, the sunshine, nature and purity I found in Colorado. Finally at 26 years old, it seemed an appropriate time to relocate. I knew leaving my family and friends would ultimately be the most difficult thing I had ever done and there were no guarantees I was making the right decision. Still, I felt there was a calling for me to live my adult life in Colorado and that I needed to do everything possible to ensure it happened. I started saving money from my paychecks as I was able. After a year of saving while working as a branch manager at a fitness club, I decided to change career paths and work as an administrative assistant for a well-known accounting firm in the heart of Tampa, Florida. While employed at the firm, I met Nolan McInnis for the second time. I had met Nolan through a mutual friend of ours a year earlier but was not ready to date anyone at the time. Shortly after reconnecting, Nolan and I started dating and seeing each other every moment we were not working. Nolan is a singer/song writer and I immediately fell in love with his voice and guitar playing. We did everything together and shared the same circle of friends. At the time, Nolan wanted to relocate to Tennessee and launch his music career. I felt like Colorado was still calling me and asked Nolan if a temporary stay in Tennessee before relocating to Colorado permanently would work just as well. He agreed, so we drove our cars and belongings to Tennessee to live with my Godparents while we checked out the music scene. I started attending my Godparent’s church and shortly after Nolan was called to go on tour to the Virgin Islands. While Nolan was gone I went on a retreat with some friends from my Godmother’s church to a Beth Moore conference in Tennessee. This time away from Nolan, my friends and my family in Florida was a revelation period in my life and I gained much wisdom from having attended the conference and having fellowship with these ladies. I went on a fast for almost two months and became very in tune with God and the purposes He had for my life. My prayer time was rich and empowering. I was convicted now more than ever that my discipline would determine my destiny and there was no doubt I was to relocate with Nolan to Colorado. My prayer time was most rewarding and I felt closer than ever to God and Jesus. That being said, I believe divine discipline is God’s corrective measure to get back in line and back on His plan to accomplish what we are meant to be and do in this life. I decided to visit Nolan in the BVI’s. We had a wonderful week together and great talks about relocating to Colorado. What an incredible musical experience I was blessed with! Our direction was clear and our goals were aligned. On March 4, 2010 Nolan and I arrived at a friend’s house in Vista Ridge located in Erie, Colorado. We spent our first couple of months getting acclimated and then moved into a townhome in Lafayette. In prayer I asked the Lord’s direction and to please guide my career path into the church if it was His will. On our three year anniversary relocating to Colorado, March 4, 2013 I started working as the Ministry Assistant at Broomfield United Methodist Church. I had felt my own inner will pulling me to Colorado for so long while living in Florida but ultimately we are all here to serve God and fulfill His will. Everything worked out to be in His timing and on His timetable. Just as Pastor Ken posed the question in his sermon last September regarding “Living a Regret-Free Life” I can honestly say that I do not regret any decision I have made as they have all led me to these truths in finding direction without doubt. 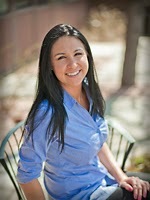 Melanie Brush is the Ministry Assistant at Broomfield United Methodist Church. Her main role is to schedule events at Broomfield United Methodist Church and assist Pastor Thomas Cross and the Children’s Ministry Director, Vicki Cromarty. Melanie teaches a small group on the Gospel of Matthew on the second and fourth Tuesday of every month.